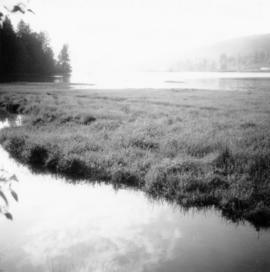 Photograph depicts the head of Burard Inlet in Port Moody. 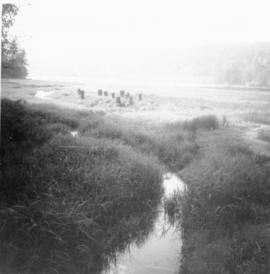 Photograph depicts the head of Burard Inlet in Port Moody. Looking northwest, towards a locomotive.